In a last-ditch effort to avert a commuter rail strike, a federal mediator will meet Friday with SEPTA officials and leaders of two railroad unions. The National Mediation Board has asked the two sides to meet with its representative at 10 a.m. Friday at the offices of a Philadelphia law firm. SEPTA locomotive engineers and railroad electrical workers have said they plan to go on strike at 12:01 a.m. Saturday, following SEPTA's decision to impose management's terms to settle a long-running labor dispute. In a letter to all SEPTA engineers Tuesday, Dennis R. Pierce, national president of the Brotherhood of Locomotive Engineers and Trainmen, said the transit agency's move "leaves us with no alternative but to respond in kind in defense of your rights." SEPTA alerted union officials Monday that it would implement previously offered pay raises, effective Sunday, for the engineers and railroad electrical workers. The members of the two unions have been working for years without new contracts - the electrical workers since 2009 and the engineers since 2010. The federal Railway Labor Act prevents the workers from striking and SEPTA from imposing terms until the two sides have exhausted federal mediation efforts. Under provisions of the federal law, that "status quo" period expires at 12:01 a.m. Saturday, allowing both sides to resort to "self-help." The workers say they expect to strike at that time, following SEPTA's decision to implement the wage increases. A strike could be brief, at least initially. Gov. Corbett is prepared to ask President Obama to intervene if the workers walk out. If Obama acts on Corbett's request and appoints a presidential emergency board to mediate the dispute, that would require the two sides to continue operating under existing terms for up to 240 days. A strike by SEPTA railroad workers would be the first since 1983. That work stoppage lasted 108 days. SEPTA spokeswoman Jerri Williams said Tuesday that SEPTA officials were "still very optimistic that we can avoid a work stoppage." Both the BLET, which represents 220 SEPTA engineers, and the International Brotherhood of Electrical Workers Local 744, which represents 210 railroad electrical workers, offered to submit the current labor dispute to binding arbitration. SEPTA declined arbitration, saying it believed it could get better terms through negotiation. In his letter to engineers Tuesday, Pierce warned that SEPTA could make other unilateral changes after Saturday, such as changing work rules and requiring engineers to wear uniforms. "None of your work rules that were part of SEPTA's bargaining demands are safe from alteration to suit managerial whim," Pierce wrote. Williams said SEPTA had no plans to implement any terms other than the wage increases. If SEPTA imposes previously offered wage increases, the electrical workers will get a raise of 11.5 percent Sunday, and the engineers will get a 5 percent raise Sunday and an additional 3.5 percent raise July 6, SEPTA said. Wages for electrical workers would increase by about $3 to $29.50 an hour, on average. Electrical workers on average earn $55,120 a year, not counting overtime pay. The top wage rate for engineers would increase by $2.64 per hour, to about $32.50 an hour. 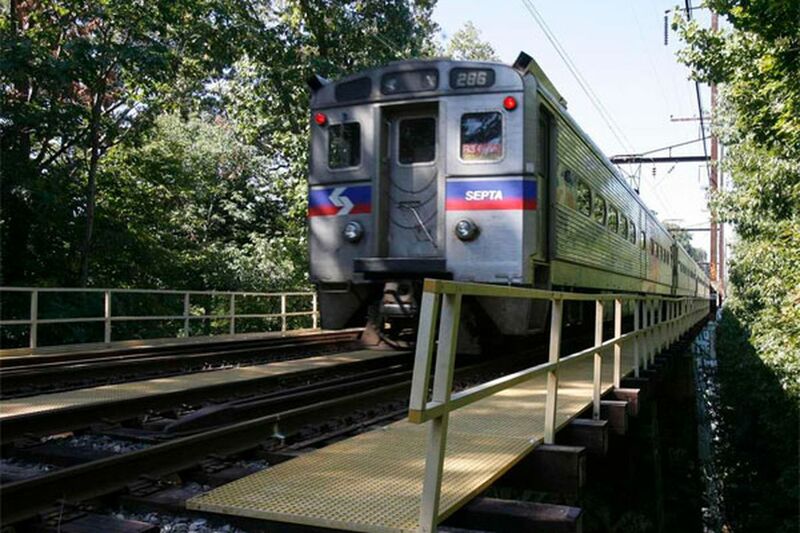 Engineers, who typically work six-day weeks, now earn an average of $95,290 a year, SEPTA said. About 126,000 passengers ride SEPTA commuter trains daily, on average.